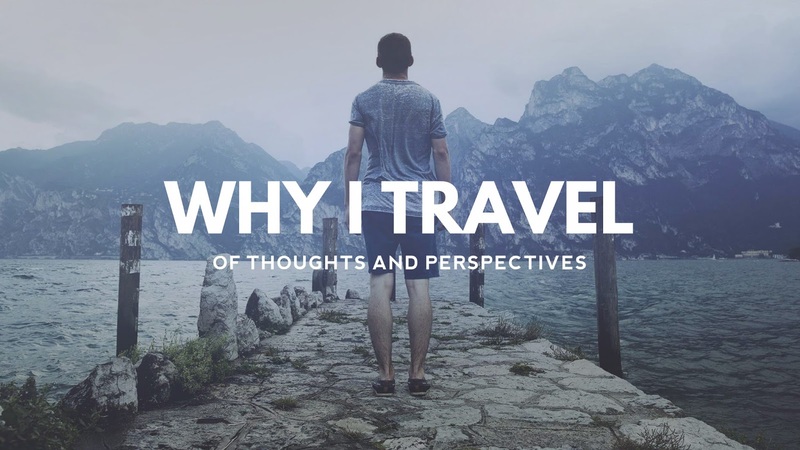 Tagaytay is known for its relatively cool climate, mouth-watering Bulalo, and the scenic view of Taal Lake and Taal Volcano, the smallest volcano of the country. The once little town of Cavite has grown into a bustling city, filled with both local and international tourists who are seekingfor a cooler climate. Because of the increasing demands of the tourists and its constituents, investments have poured over Tagaytay over the past few years, ranging from properties to entertainment. One of the newest attractions of the city is the Sky Ranch. 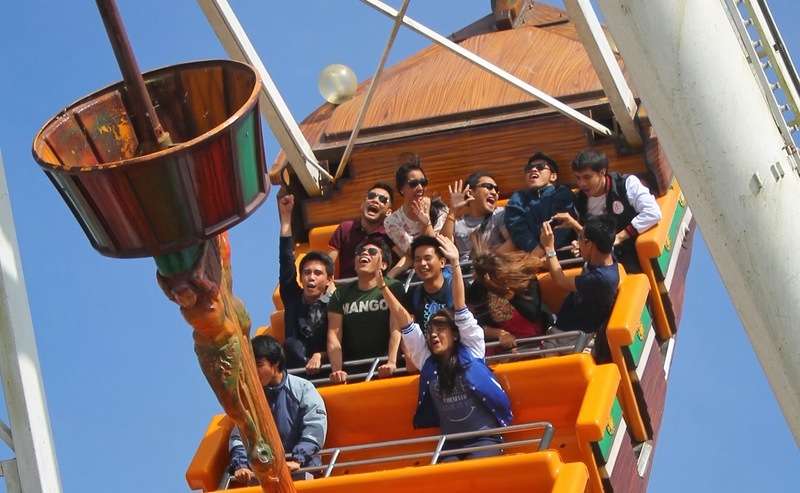 Owned by SM, this theme park offers rides such as horse-back riding, Sky Eye (the country's tallest ferris wheel at 207 ft), the famous Super Viking, and a whole lot more. Since I wanted to experience again their Super Viking, I fell in line together with my friends and waited for our turn. 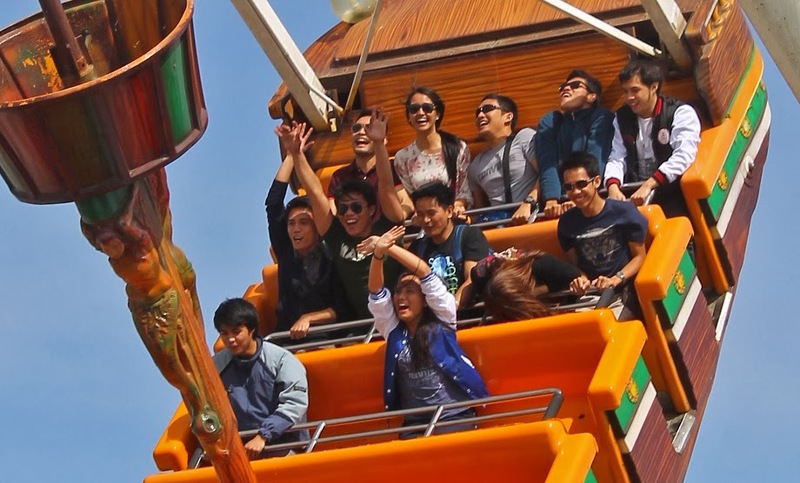 We were all excited and planned to sit at the back portion, where you can feel the maximum momentum of the ride. "Aaahhhhh please langggggg ayoko naaaaaaa!" "Huuuuuy kuuuyyyyaaaa stoooooppppp na pleeeeaaaseeee"
The feeling of someone giggling slowly transforms into a feeling as if someone's trying to pull your innards out. Seriously, it felt intense and we thought we were going to fall from the top. Well, the photos speak for itself. It was the longest ten minutes of our lives. We thought we'd be up there for eternity. As early as one in the afternoon, we felt drained and exhausted. We originally planned to try the Sky Eye but, yeah, we were THAT tired. Dead tired to be exact. I don't know if it'd still be the same if we were sixteen or younger. I surmise it was due to the nonstop screaming? I nearly lost my voice that day. The father and his two daughters who were seated adjacent to us felt the same way... or wait... even worse than us! Her younger daughter was crying EVEN AFTER the ride and her elder daughter almost lost her consciousness. 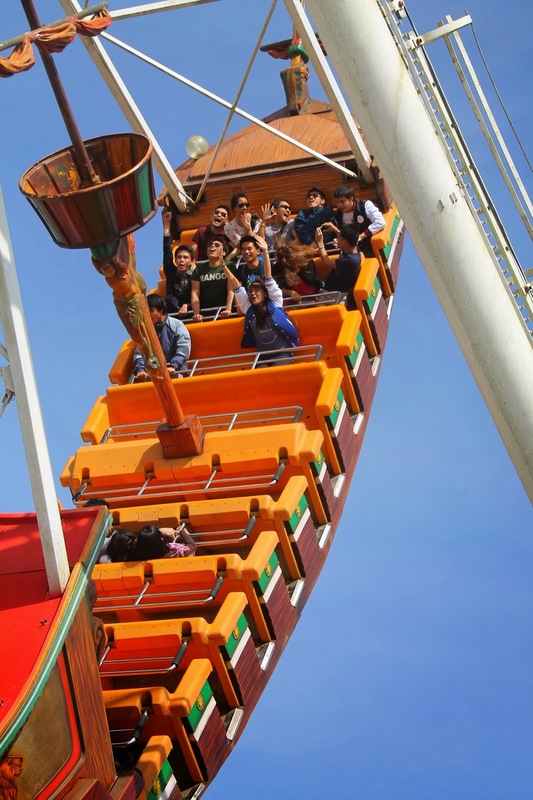 The Super Viking ride was a crazy ride in Sky Park. Actually, crazy was an understatement. Nonetheless, we enjoyed it. nakakalula yan. parang naiiwan kaluluwa mo sa other side haha.